Strandås Inn is beautifully situated in northen Värmland next to the banks of Klarälven opposite to the mountain Branäs. In a grand environment, we offer relaxation and adventures during summertime and wintertime. Our restaurant offers culinary sensations according to what seasons might give us. You live in one of our beautifully renovated rooms. We offer both ready-made conference packages where meetings are mixed with exiting adventures as well as various weekend packages. We want you to experience the best possible stay with us. 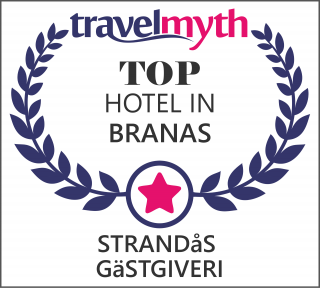 Welcome to Strandås Inn! We offer complete conference packages. Snowmobiling or driving training on snow and ice in scenic environment combined with tasty food, makes the conference complete.